[map] [bird's eye] [street view] Atop Ishkooda Mountain in the western part of Birmingham, about 1/4 mile east of where Venice Road crosses the mountain near the Tarpley City community. [Picture] Legal ID snapshot showing the various channels that ABC 33/40 is available on as of May, 2015. [Picture] Legal ID snapshot that presumably shows on 58.3, showing the current ident under Howard Stirk Holdings' ownership of WGWW and WSES, October 2015. This station received its initial construction permit in November of 1994, as W58CK. It did not sign on until June of 1997, after a round of modifications were made to the permit and during which time the ownership passed from Shirley James to Allbritton Communications. 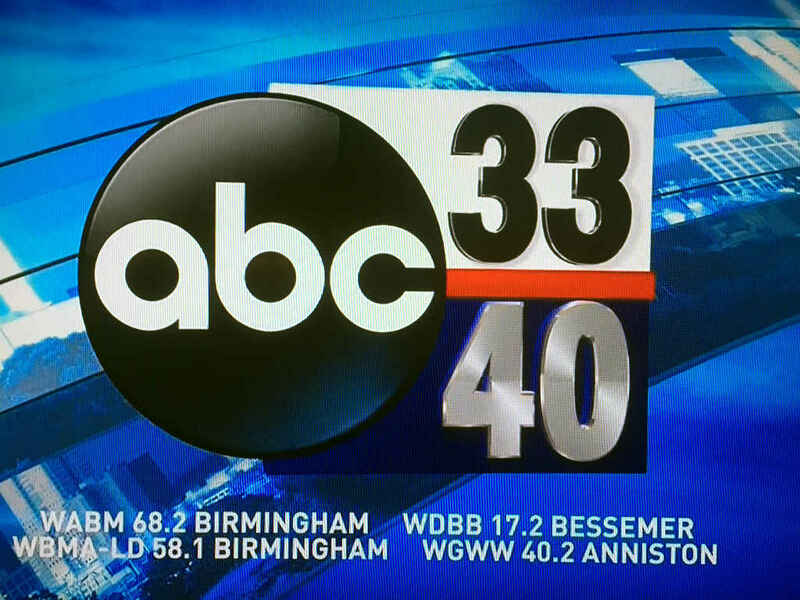 Allbritton purchased this station to serve as the 'official' ABC affiliate for the Birmingham market. At the time, Allbritton had reached an agreement to pick up the ABC affiliation on WCFT out of Tuscaloosa, and to relay it on WJSU out of Anniston. Because each station was outside the Birmingham market at the time, the stations would not show up in Birmingham ratings. Acquiring this low power station to act as the official affiliate was to get around that limitation. It also later paved the way for Tuscaloosa and Anniston to be folded back into the Birmingham market. More about that can be found through the Wikipedia link provided above. The station used the WBMA (BirMingham Alabama) branding from the beginning, and the calls were officially changed to WBMA-LP in August of 1997. Because the low power analog signal was transmitted on UHF channel 58, which was removed from the roster of channels for TV stations after the digital conversion, WBMA was forced to move to a new channel. Although they were granted an interim permit to move to channel 11, they chose not to use that because of interference concerns with stations outside the market still using that channel, and it expired in 2015. Instead, they were eventually granted to move to channel 40, now vacated by WJSU's analog broadcast. With the move, the station voluntarily switched to digital broadcasting on May of 2011. 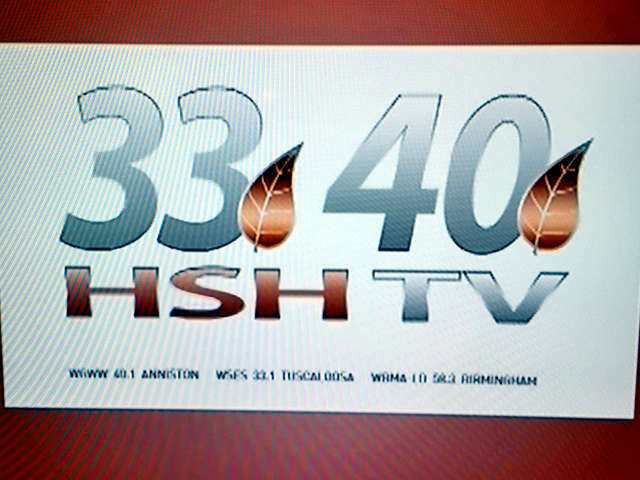 In 2013, Allbritton reached a deal to sell several of its stations to Sinclair Broadcasting, owners of WTTO and WABM in the Birmingham market. Because of market ownership restrictions (best explained the aforementioned Wikipedia article), the official ABC affiliation went to WABM's 68.2 subchannel and WBMA-LD became a repeater to that, while also carrying the James Spann 24/7 weather channel and Heartland on other subchannels. The station dropped Heartland at some point in the summer of 2016 for the American Sports Network. The station picked up the men-oriented action network Charge! in June 2017 on the -.4 subchannel. In 2018, American Sports Network went under and was replaced with Stadium, a similar sports-themed channel. As part of the DTV repacking scheme, this station is applying to move to RF channel 32.